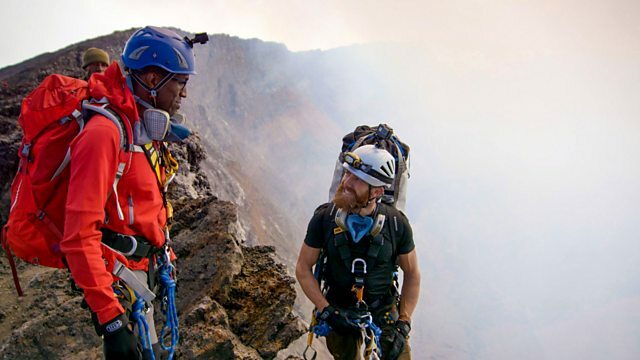 BBC Two - Expedition Volcano, Series 1, Episode 1, Prof Chris Jackson and former Royal Marine, Aldo Kane start the descent into crater of Nyiragongo. Prof Chris Jackson and former Royal Marine, Aldo Kane start the descent into crater of Nyiragongo. Prof Chris Jackson and Aldo Kane start the descent into crater of Nyiragongo. Prof Chris Jackson arrives on the camping level and compares it to an alien landscape.